:: Don’t tell my kids, though. White crap on the ground only means one thing to them. SLED or DIE. I keep thinking I’m going to write something witty, and then I check the weather. The latest weather report (pictured above) sent me over the edge. My weather app is trolling me. 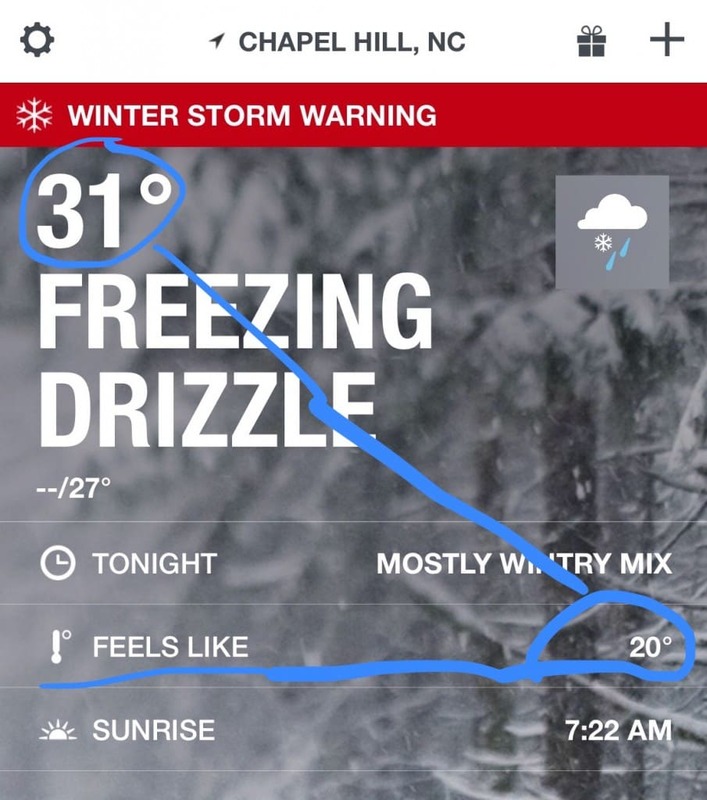 The app can’t even tell me the temperature. Apparently it’s 31 degrees but you wouldn’t know because really it feels like 20 degrees. What does that even mean? Is that wind chill? It’s not windy. Is that because the sleet whips down your collar, past your scarf, whips between your gloves (which are good gloves because you used to be a G-D ski instructor) and your coat, clings to your pants like small shiny ice-ticks until your entire body feels like it is a chapped, freezer-burned piece of detritus someone fished out of the water near the Arctic Circle? Is THAT what “feels like” means? Don’t tell my kids, though. White crap on the ground only means one thing to them. SLED or DIE. So we went sledding today. 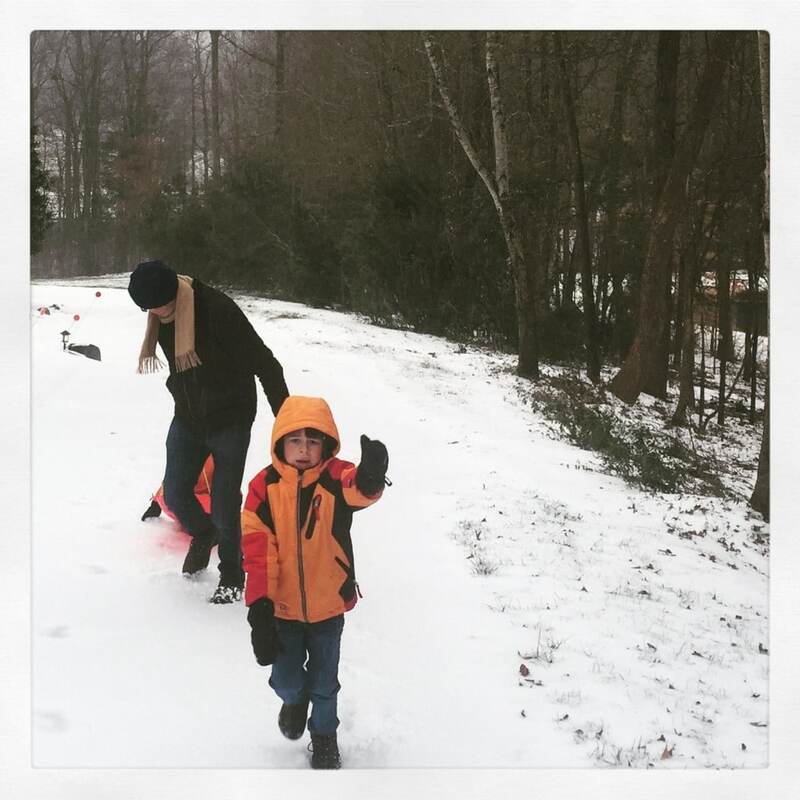 Actually, we went sledding three separate times today. I had to go outside in this complete crap, each venture requiring an entire new set of clothing because of the clingy ice-ticks mentioned above that turned all clothing into a sopping mess. I’m going to have approximate 400m loads of laundry to do by the time this s***-storm is over. 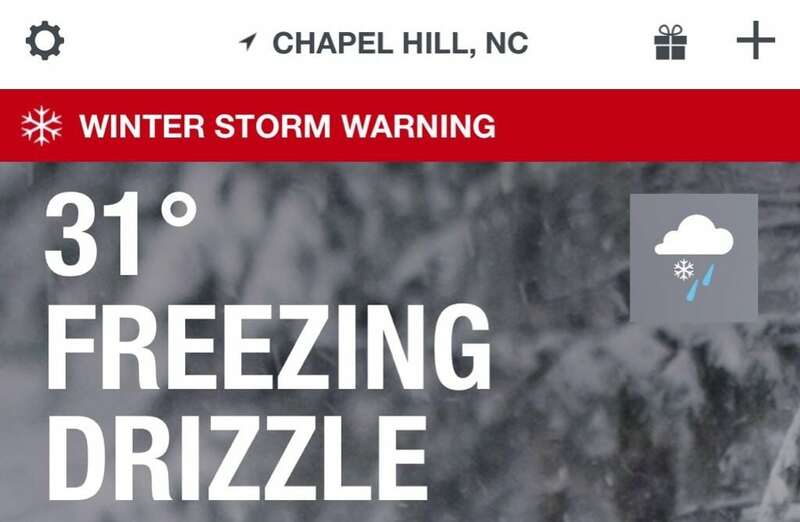 Freezing drizzle. That’s not a weather report. That’s an epic trolling.